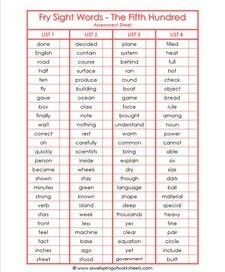 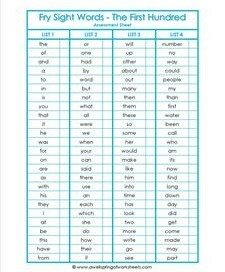 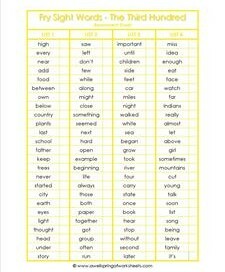 Our Fry sight word assessment sheets for grades K-5 are divided into ten groups of 100 Fry words each. 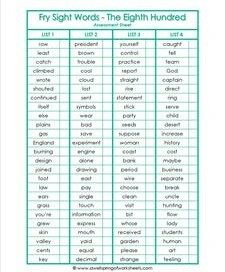 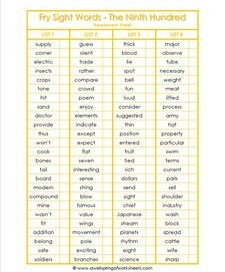 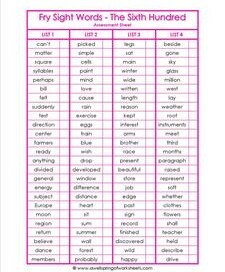 They are meant to be used in conjunction with the color-coded Fry word lists and Fry word flash cards on this site. 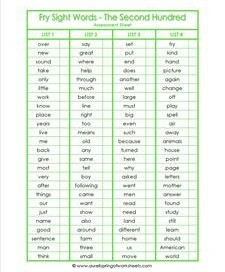 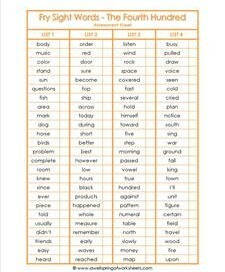 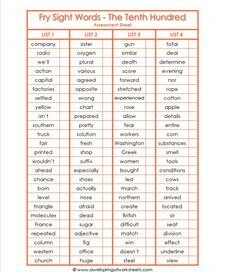 A suggested way to use them is to have kids read the words to you from the Fry list while you mark off the words they know in the convenient check box on the assessment sheet. 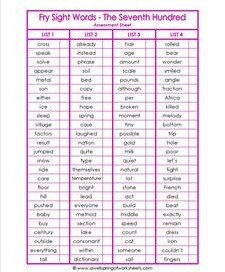 You can leave the box blank if they don’t know a word and assess them again at a later time.